Srivari Brahmotsavam is the most auspicious festival celebrated at Sri Venkateshwara Temple. This festival goes on for nine days during Ashwin Navratras. According to the legends, the origin of this festival is associated with Lord Brahma. Brahmotsavam means “Brahma’s Utsav”. On the first day of Brahmotsavam 2018, a ritual called “Anurarpana” is performed. The Anurarpana ritual signifies fertility, abundance, & prosperity. During this nine-day festival, various religious activities like Homas and daily processions take place. Important Note – During Brahmotsavam, TTD special entry darshan or Seeghra Darshan tickets will be cancelled. New ‘Sarva Bhupala Vahanam’gets ready day before the Garuda Seva. APSRTC has planned to operate more than one 3700 trips with 550 buses for Garuda Seva. During Brahmotsavam, only protocol VIPs are allowed and advanced reservation of TTD room booking is also cancelled during this nine day fest. Annaprasadam will be distributed on Garuda Seva day from 12 noon onwards for the pilgrims waiting in galleries. Dwajarohanam is flag hoisting ceremony that takes place on the first day by hoisting a flag (Dhwaj). The flag has a picture Garuda on it and is placed on top of Dwajasthambam of the temple. The flag is hoisted amidst Vedic chanting. The flag hoisting symbolizes the formal invitation to all the deities to attend the Brahmotsavam. Before flag hoisting, a procession is carried out. In this procession, idols of deities like Malayappa, Sridevi and Bhudevi are carried in the procession along with the flag. The idols of parivara devthas such as Anantha, chakra, Garuda and Vishvaksena are also carried in the procession. After the flag hoisting, the chief minister of Andhra Pradesh, offers new silk clothes to the Lord Venkateshwara. Pedda Sesha Vahanam is seven headed which is believed to be Aadi Sesha. These seven heads represent seven hills of Lord Venketeshwara. Once the Dwajarohanam is over, Lord Malayappa is taken out in a procession in the evening. The procession is carried out in a finally decorated vehicle (Vahanam) which looks like Aadi Sesha. Aadi Sesha is a thousand headed chief serpent god. Lord Srimannarayan, in his abode in Sri Vaikunta, rests on Aadi Sesha. The abode of Lord Venkateshwara at Tirumala Hills is set to be the manifestation of Lord Aadi Sesha. Many bhajan and cultural troops proceed the grand procession. A special band of Sri Vaishnavite called “Veda Goshti” is led by temple heads and pundits. This form the frontal base of the procession which lasts for more than 2 hours. Lord Kodandarama is taken out in a procession on “Vaasuki” (Serpent god) as his vehicle. Vaasuki is a five-headed serpent which is also called “Chinna Sesha Nagu”. Vaasuki is favorite of Lord Vishnu and Lord Shiva. After Chinna Sesha Vahanam is over, the Lord is again taken out in a procession in the evening on a golden Hamsa (Swan) as his vehicle. Hamsa or Swan means Pure. In the procession of Hamsa Vahanam , the Lord dons the role of Goddess Saraswati. On the Third day of Brahmotsavam, in the morning, the Lord is taken out in a procession on Lion as his vehicle. Lion symbolizes royalty and power. The Lion dons the form of half man and half Lion in his Narsimha Avatara. On the evening of third day of Brahmotsavam, the Lord is taken out in a procession. The procession is carried out in a chariot decorated with a canopy of pearls. Pearls symbolizes purity and royalty. On the morning of the 4th Day of Brahmotsavam, the Lord is taken out in a procession on Kalp Vriksha as his vehicle. Kalp Vriksha signifies that the Lord is a giver of boons and fulfills all the wishes of his devotees. Kalp Vriksha is the divine tree that grants all wishes. The vehicle is decorated with golden tree and its branches. The idol of the Lord is covered with a golden canopy. On the evening of the 4th Day of Brahmotsavam, the Lord is taken out in a procession on Sarva Bhoopla Vahanam. Sarva Bhoopla means that the god in charge of earth, water and air, becomes the pall-bearer of his vehicle. Sarva Bhoopla Vahanam indicates that the Lord Venkateshwara controls the entire universe including the dikpala’s. He also battles against evil elements to protect his devotees. They are termed as Asht Dikpala who serve Lord Venketeshwara. On the morning of the 5th Day of Brahmotsavam, the Lord is taken out in a procession. The Lord vehicle is decorated in the attire of Mohini Avtaram also known as Ksheersagar madhanam. Ksheersagar madhanam means the one who distributes divine nector. Usually for processions during Brahmotsavam, all Vahanam start from the Vahanam mandap which outside the temple. But mohini avtaram starts directly from the temple in dantha palki alogwith Lord Krishna idol in another palanquin. Chandra Prabha Vahanam takes place on the 7th day of Brahmotsavam. On this day, the idol of Lord Venkateshwara rides on top of the Chandra Prabha Vahanam. 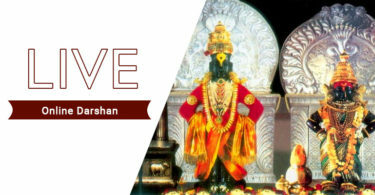 It is a divine site for all the devotees who gather for this event. This event takes place in the four Mada streets. Chandra or Moon symbolizes medicinal values for all the living beings including plants. In Brahmotsavam, Moon is considered as the symbol of Lord Venkateshwara’s procession vehicle. According to purusha sooktha, the Moon is born from the mind of Lord Vishnu. Moon symbolizes calmness and is considered as the commander of mind. This ritual describes that Moon causes day and night. If you have any query on Tirumala Tirupati Brahmotsavam Schedule, please leave your comment below, we will get back to you at the earliest. Planning to visit tirumala temple on sep30th 2017, will be there Darshan available? As per the availability chart, darshan tickets are not available for 30th September 2017. However, if you plan to visit around 3rd October 2017, then darshan tickets are available. For your convenience to plan your visit, please see availability chart as on today. (Please note this is subject to change very frequently). Planning to visit tirumala temple on dec22th 2017, will be there Darshan available? Quota not released for December yet for Special Entry Darshan. However, Arijitha Brahmotsavam seva tickets are available for 22nd December. Do let us know if you need any help. As per the Brahmotsavam schedule, 30th September is 8th day of the Brahmotsavam festival and two vahanam (Processions) Radhothsavam (From 9 AM to 11 AM), and Ashwa Vahanam (From 9 PM to 11 PM) are scheduled. Dharma Darshan or free Darshan will be interrupted during that period. As per our understanding, you would reach Thirumala on 29th September at night. 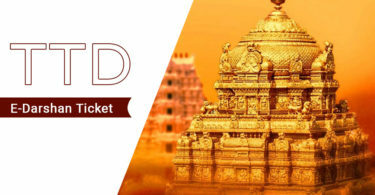 We suggest you to stand in the early morning queue for Sarva Darshan that starts from 3:30 AM so that you finish your darshan before Radhothsavam. Darshan tickets are not available for 23rd September. However, Darshan tickets are available from 11 Oct 2017. You can walk from Alipiri Mettu or Srivari Mettu. Alipiri Mettu is the longest walk to Vaikuntham. Its a 9 KM walk and 4 KM from the Tirupati bus station and railway station. Free buses are available to reach Alipiri mettu from TTD cottages or Tirupati bus station and railway station. Srivari Mettu is relatively shorter walk for 2.1 KM (2400 Steps). Divya Darshan token are available at halfway mark i.e. 1200 steps. Parking is available and trek is opened from 6 AM to 6 PM. Its strictly closed at night. Devotees can board TTD buses at 4 AM to reach the entrance to start their holy journey. Buses are available after every 45 minutes. You will get all basic amenities along the way like free drinking water, restaurants, and toilets etc. Do let us know if you need any info. We are travelling tonight to Tirumala and planning to take steps. But it is told by few of my friends that there are no passes given for those who come by walk on 23rd. Could you please update me what it because we have booked bus tickets already. Tickets are now fully booked and due to Brahmotsavam Festival the tickets are also not available at Srinivasam complex. So, you can plan for Sarva Darshan means (Darshan for all). The timings for Sarvadarsanam are different on different days of the week. Please refer the weekly temple programme for the timings. In September 2017, you can not book any seva. It can be booked in November as October month is also booked. RATHA RANGA DOLOTSAVAM (Swarna Ratha Seva) will be performed on 28/9/2017 evening from 5 PM to 7 PM. It is unique and rare procession of when the deity was taken on the golden chariot. Many thousands of devotees visited to witness this Golden Chariot Procession. In my opinion you must reach there at least 2 hours before to witness the God from very close. Hi, I am planning to visit tirumala for lord Venkateswara darshan this year brahmotsavam with my family, kindly guide me when is the booking window opens for online booking. The booking or tickets for brahmotsavam will be available in 2 to 3 months. You will get the latest information on Online booking of Brahmotsavam Online Tickets Booking in this Darshanbooking website. For updated information subscribed our website. sir planning to visit thirupathi temple on 16 th october will be there darshan and rooms avilable? I will surely happy to help you Saravanan. Will you tell me what are your queries regarding Tirupati Temple Darshan and Room Booking information?